Customizing the ribbon is similar to customizing a toolbar, but you need to be aware of the special structure of the ribbon. If you’re interested in creating custom commands, also see “Tutorial: Create a custom command.” This tutorial builds on those skills, but is complete in itself. Choose Tools tab> Customization panel> User Interface, or just type cui on the command line. 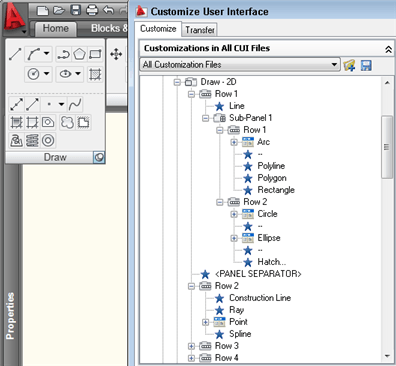 In the Customization in All CUI Files pane, expand the Ribbon Panels item. Expand the panel where you want to add your command. You’ll see several rows. Expand one or more rows that you might want to look at. Here you see the Draw-2D panel open with several of its rows. To the left, you can see the expanded panel itself. Note: One new concept is the sub-panel. Sub-panels are a way of compartmentalizing commands for layout purposes. 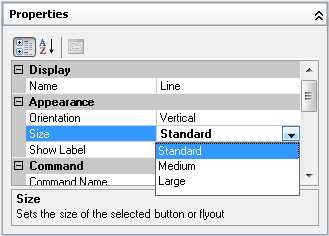 On the Draw-2D panel, there’s a sub-panel after the LINE command to separate that command from the rest. Also, each panel comes with a panel separator. Rows below the panel separator don’t show until you click the panel name; they’re in the lower, expanded section. Caution: Remember to back up your original menu file in case you make a mistake! The file is acad.cui or acad.cuix (depending on which release of AutoCAD you’re using). The location may vary, so use the OPTIONS command and click the Files tab. Open the Customization Files item to find the location. When you find the file, use Windows Explorer to back it up. Another option is to use Windows Explorer to make a copy first, rename the copy, and load the copy. Use the CUILOAD command to first unload the main acad.cui file, then browse to your copy and load that. Decide which changes you want to make. I added a custom command and moved existing commands around to better suit how often I use them. Don’t make the panel too wide, because you need to leave room for the rest of the panels. If you make a panel too wide, others will be condensed and you won’t see all of their contents. To move existing commands, drag them from one location to another. (Sometimes this doesn’t always seem to work on the first try; try another location, or delete the command and drag it from the Command List to the new location.) To delete a command, right-click and choose Remove. To add a different or custom command, locate it in the Command List at the lower-left corner of the dialog box. Then drag it to the desired location. To delete a sub-panel, drag its contents to another location, right-click it, and choose Delete. Sub-panels do a nice job of setting off buttons, but they create blank space that you might want to use. When you’ve made a few changes and want to see how they look, click the Apply button and wait while AutoCAD reloads the menu. Note: The panel preview at the upper-left corner of the dialog box isn’t completely accurate, so don’t rely on it completely. For example, my preview showed the LINE command with a large icon, but it shows as a standard-sized icon on my ribbon. You can set the size in the Properties panel. When you’re done, click OK. Here you can see my new menu. I’ve added a custom 1LINE command (line \\;) which ends the LINE command after one line. I’ve also moved the existing buttons around and banished some to below the panel separator. Originally done in AutoCAD 2009.
my ribbon is missing. How do I get it back? Try using the MENULOAD command to reload the menu. Try MENULOAD is the answer I have seen all over the net for the last hour or two that I have been trying to fix this myself, that doesn’t do anything. Maybe there is a whole lot more steps that are assumed that I should know but MENULOAD is not working. Are you sure you have the menu file? Maybe it was deleted. Is your workspace set to Drafting & Annotation? If it’s set to Classic, you’ll see a menu. Do you have a menu? What might have occurred just before the change? If necessary, try uninstalling and reinstalling AutoCAD. Which version of AutoCAD do you have? 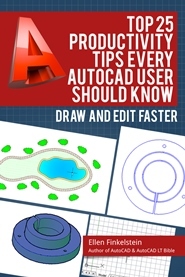 Try asking at the discussion group at autodesk.com for your version of AutoCAD, but be sure to give as much information as you can. i just had the same problem my ribbon bar disappeared in autocad 2013 took me a while to get it back i just switched to classic and right clicked on the middle ribbon, you should see a drop down list at the bottom, it says locked location. i selected on all 4 to be checked as locked docked window, floating windows,docked toolbar/pannels and floating toolbar/pannels. when i went back to Drafting and Annotation there it was again Ribbon at top of screen just as first start up!! Hope this helps anyone else with the same problem!!! I HAD TO REPOST FOR THE MESSUPS SORRY!! I have a question i am new at autocad, but very knowledged in sheetmetal layout!! Old scool is what i call it now and days. My company has Vicon plasma cnc machine i been running for about 3 years now. I do layout in schetch in Vicon which is drawn as a PLine known in autocad. If you are familiar with this i have to start at one point and end up at the same point using compound angles and lines to end up at the same point i started from using one path layout without flaws, i have no problem with this sort of thing for i am a master at what i have done for years, but it takes time to draw in this manner!! So i have took a course in autocad in college to learn the drawing tools, before i knew it i was showing the teacher layout.. I passed the subject with a 4.0. But my question is… Can i create a custom button that consists of a “say a simple drawing”? What i am having problems with is in Vicon converting tic marks from Autocad to Vicon using DXF intites! The tic marks serve as a break mark for my guys to brake a piece of metal representing hince “tic” as a line drawn. The problem i have is Vicon tries to make a tick line in to a V and converting this it has a problem for a tick is about .30 of an inch and no more than say a 16th of an inch, but the diode that cuts the metal is a point 30 inches in width. So therefore it has a problem with a straight line that intersects another line at say 90 degrees. So when i import this to DXF in Vicon it messup my drawing! So to fix this i create a V notch say .30<22.5deg,.30<158.5 deg. in autocad terms.. thus wanting to make this as a button in the ribbon tabs.. I have seen some of your posts and videos, i just know you can help me please???? thanks for the reply! it seems that from what i have read that you can only contribute to exzisiting buttons, and not make a whole new command button that isn’t alredy one! so i will just make a simple “>”… such as line angle line.. i guess im just not far enough along to know much yet.. so i will draw 4 “V” shapes these being 2 of them will rotate these 2 to 90 degrees one pointing up and one pointing down for the other 2, and save my drawing as a template, so when ever i open Autocad these will be there on the screen for me to copy and move into spot before i start to draw. I appreciate you taking the time to read my mess of words: for i am only good at math!!! i have a problem in the config of the center mousse button for move (the rudder i said, when i push it, i want appears the hang in the screen for move, no only scroll the rudder for zoom.) how i config this. any idea]? Yes, I had the same problem: “The ribbon does not have any tabs or panels currently loaded” This occurred after a network crash. Anyway, I went down to the lower right-hand corner to “Workspace Switching” and switched back-and-forth between “AutoCAD Electrical Classic” & “ACADE & 2D Drafting & Annotation” and this brought the ribbon back. Where can I find steel library to australian standard in AutoCAD 2013? It’s been a while since I used this powerful software! 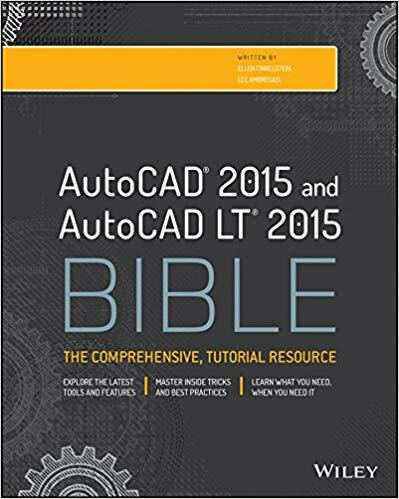 I asked a friend about it and he said to “add-on” steel library to AutoCAD …if so then where can I find this AutoCAD add-on? I assume it would be a 3rd-party add-on. Ask your friend or do a search.